When it comes to providing home health care services in NYC, nobody meets the needs of clients with the same commitment as our professionals at Care 365. In fact, we’re dedicated to providing a full continuum of care in a way that provides value to our clients- 365 days a year. If you or someone you love is recovering from an illness or an injury, give us a call to learn why we are a preferred service provider. If you’re going home after surgery, an injury, or an illness our rapid response team can provide an immediate assessment to chart your needs, monitor your recovery and provide personalized education on how to optimize healing time, so you can get back to the life you’re used to living. 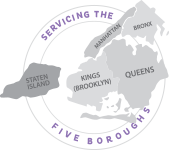 Our follow-up evaluation service is one that our clients tell us is beneficial to their healing process- and one many other home health care services in NYC fail to provide. Read real client testimonials and reviews on the Care 365 website or type our name into a directory of your choice to see how we measure up with other home health care services in NYC and its surrounds. We have earned a reputation throughout the community for providing caring, personalized health care that allows patients to stay in familiar surroundings while maintaining the freedom of living at home. Our professionals from Care 365 include home health aides, nurses, and rehab professionals, allowing us to provide a wide range of care services, from bathing and cooking to wound dressing and injections to physical and occupational therapy. Reach out to us, and we can provide additional information on how we can help you or a loved one recover at home. You can see a complete itinerary on ‘Our Services’ located on our website’s homepage. If you qualify for CDPAP or the Consumer Directed Personal Assistance Program, you can choose a caregiver you already know and trust for your home health care services in NYC- such as a friend, family member, or previously hired caregiver. We can determine your eligibility and streamline the application process for you when you call a Care 364 representative and ask about CDPAP. If you prefer, download the form from our website and submit on your own. At Care 365, our staff believes the best place for recovery is in a person’s own home- and we’re proud to provide patient-focused care for our patients, regardless of their medical condition or individual requirements. Our mission has always been to keep our clients at home and as independent as possible for as long as possible- and it remains to this day. Receive the highest level of care administered by a skilled team of healthcare experts from Care 365. If you’re returning home from surgery or an illness, need long term help managing a chronic illness, or simply require temporary assistance while you’re recovering, we are the right alternative to nursing home care.